This 4-day-a-week plan will prepare you to ace most physical fitness tests and prepare you for the rigors of the training and work of your position. Get stronger to serve better! If you work in law enforcement, corrections, firefighting, or any branch of the military, a physical fitness test (also known as a PT test) is a reality you're going to have to deal with at some point. Luckily, we've all been trained since an early age how to deal with tests, right? Wait until the last minute, then cram like crazy. Unfortunately, while this works for short-term mental tests, it's not so great when it comes to displaying genuine physical competency. So, is the only solution to simply drill the three or four movements making up your test, day in and day out, until you lose your mind or break something? Some people might take that approach, but thankfully, there is another way. If you're not quite up to the minimum standards for your required PT test, I would focus on developing the requisite strength the standards truly represent in other ways. This is the basic program I recommend to my clients in this situation. You can remain on this program as long as needed, but I recommend you take a week off every 4-6 weeks. In the middle of your rest week, test yourself against your standards, and adjust the program based on what needs more focus. This is a base-building program, so the premise is simple: To get good at something, you must do that something frequently. This will not be the most exciting program you'll ever do, but when your or someone else's livelihood is on the line, nobody cares how you prepared for that situation so long as you did it well. You can use push-ups and calisthenics to build the muscles used in sit-ups. You'll be working out four times a week. 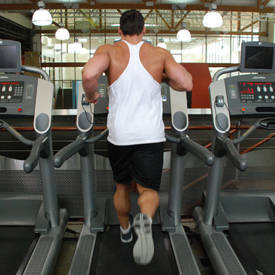 Three days will be devoted to calisthenics and running, and the fourth will be nothing more than a weighted march. 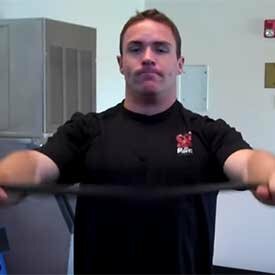 Not all organizations require you to perform a weighted march, but I recommend that everyone do them, because you may be surprised what they do for your running abilities. I was once required to carry a 45-pound pack 3 miles in 45 minutes as a condition of hire, and after performing that, running 3 miles in 24 minutes felt like a breeze. PT tests (with the exception of the CPAT used in structure fire) are made up of a battery of standard calisthenics exercises and potentially one or two more tests specific to your job, like the pack test or a waist-circumference measurement. Each of the movements will require a different approach to training. Here's how we'll approach the big movements individually. A ladder is simply a repetition scheme that starts easy and builds to one moderately difficult set before starting over. An example would be the old "I go, you go" approach, where one person performs a push-up and then stands up while their partner does one. Then they perform two, three, and four reps, resting only while their partner works. When one person begins to struggle—it's important to leave a little in the tank—both people rest for a little while before starting over at one rep.
Ladders are often confused with pyramids, where you work up to a top set before working your way back down: 1,2,3,4,3,2,1. I prefer ladders, which allow for a larger total volume of work during a training period, since after your hardest set, you drop all the way back to the easiest. 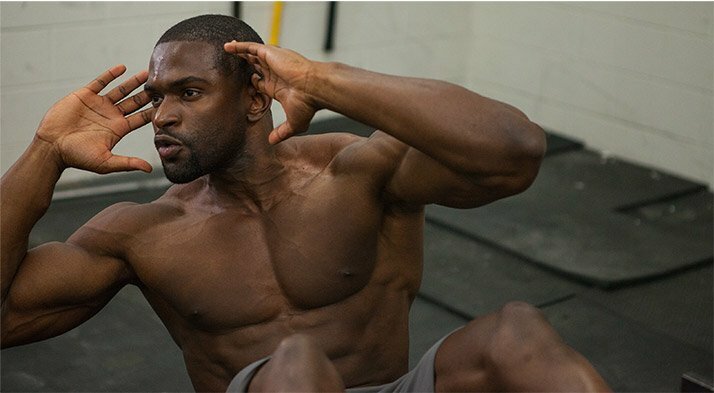 Pyramids will have you perform another hard set after your hardest effort, which will add a lot more fatigue and limit the number of times you can repeat the technique within a workout or training week. You won't need a partner to do these ladders, either. Simply rest for 5-15 seconds between sets, and 60-90 seconds between rungs: 1,2,3,4, rest 60-90, 1,2,3,4. Your week of push-ups will be broken up into heavy-, light-, and medium-volume days. 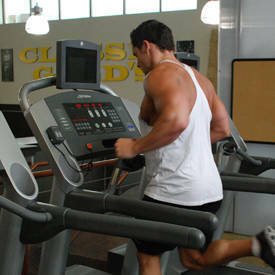 The light days will have small jumps between sets, while the medium and heavy days will have larger steps. Use the following table to determine your rep schemes for each day, depending on how many quality push-ups you can do in a row now. Push-ups How many can you do now? Don't worry if your performance varies week to week. Just focus on keeping the reps as perfect as possible. Sit-ups take a lot of abuse these days, but I wouldn't count on the armed forces switching over to the plank any time soon. So while you can't escape the old standard, you can definitely build your base with other movements and see benefit in the test. 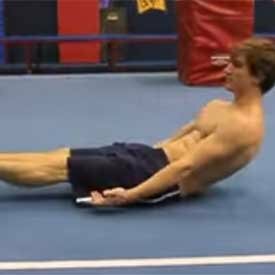 In fact, any movement that strengthens the abs will have carryover to the sit-up. Test the sit-up during your rest weeks, but train the abs with other movements the rest of the time. Personally, I think two classic gymnastics movements, the hollow rock and hollow hold, are ideal choices here. Both will also help your pull-ups. You'll also balance every set of ab exercises with a set of another movement targeting the back side of the core. You'll be running three times per week along with a weighted march. Two of the runs are short, and you can use them to work on running faster—or slower for recovery, if you feel the need. Use the long run to get comfortable running longer distances. If you'll be entering a job that requires a lot of running, like firefighting or military basic training, I recommend that once you've become comfortable running, you should build the long run to an hour-long continuous run, and the two shorter runs to 30 minutes each. On your march day, add about 10 percent of your body weight to a pack or vest. You can either walk a course of 3-4 miles as quickly as you can, or walk for an hour covering as much distance as possible. Either way, walk like you have a purpose, because this isn't meant to be a stroll. Add 5 pounds each week as long as you're comfortable(ish). You will be performing various hangs at the end of each training session. The hangs will strengthen all of the muscles needed to complete the pull-up. 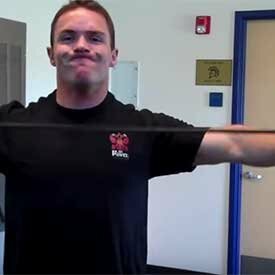 If you dedicate time to completing the hangs with good form, you will quickly own your first pull-up. I guarantee it. If you can do a few pull-ups, but not quite enough to meet your PT-test standard, I would still finish the workout with hangs, while adding some low-rep pull-up ladders to the start of the workout. 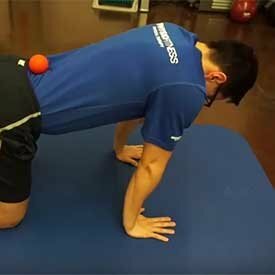 Note: These will ensure that the shoulders are working properly before starting push-ups. Feel free to add more sets if you aren't ready to begin. If the quadruped position is too challenging for you, start from a standing position with your arms at your sides. Do not let the elbows bend; the movement should come from your shoulders only. Perform these until you can no longer complete repetition in the top set with perfect form, resting 60-90 seconds between ladders. 3-5 sets of 1 rep lasting 30 sec. 15 min., walking as needed. Note: After two weeks, add 5 min. each week to this run. 3-5 sets of 30 sec. Choose the hardest progression you can maintain for 30 sec. 3-5 sets of 30 sec. per side. For added difficulty, exhale through a straw with one arm and leg extended. Note: Cover as much distance as possible. Start with approximately 10% of body weight in a backpack or weighted vest, adding 5 lbs. a week if comfortable. 3-5 sets of 1 min. Can I Change or Add Anything? A lot of trainers will tell you that if you add anything to the program, you aren't really doing their program. I won't insult your intelligence with that, but I will give you some general guidelines to hopefully keep you from burning yourself out—which is the real threat with adding to a program in most cases. You can add as much easy activity as you want, like walking, yoga, or Dance Dance Revolution. 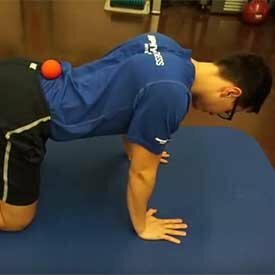 If you've been following a strength-training program before starting this, you can work up to two exercises before starting on your push-up sets. But make those movements count by using compound exercises like squats, deadlifts, cleans, snatches, and weighted chin-ups. However, limit the volume to 10 or fewer working reps; 1x10, 2x5, 5x2, 3x3 and 5-3-2 are all good options. Once you've achieved the minimum standards you need to meet, you can either rotate the calisthenics into maintenance mode or stay on the program—whatever works for you. If you stay on it, you'll find that this program works extremely well to prepare a body for long hours of manual labor. Have fun, stay safe, and thanks for your service. Matt Griffith has been training clients since 2008 and lives in Boise, Idaho.